Emil, the unwanted child of two young parents, becomes the wanted, loved child of Yoel and Leah, a childless couple. Yet as the years pass, it becomes clear that Emil does not resemble his parents. Is his name really the only thing he has left of the couple who bore him? Emil and his four parents walk through the same city, close but apart, searching for each other in the faces of passersby. Years later, Leah is killed in a terrible accident, leaving father and son alone, strangely detached. Yet when Yoel feels death approaching in old age, he becomes determined to save Emil - now aged 38 - from loneliness, and comes up with a mad idea that neither his son nor his birth parents agree to. His body resists, his mind staggers, but he advances determinedly towards the goal he has set for himself: to return Emil to his birth parents. Burstein`s language is rich, his descriptions minimalistic, and he often leaves the reader to decipher events - one moment in contemporary Tel Aviv, the next during Sadat`s visit to Israel. A stylistic feat by this gifted young author. In my opinion, Kin is the book of the year. One of the most beautiful books I have read in the past few years. 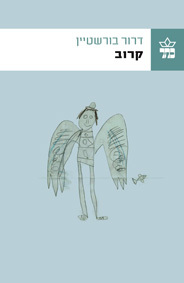 Burstein is one of the most interesting Israeli writers today. Kin offers rare crystal-like beauty… Critics repeatedly describe it as beautiful, delicate and unique. It is all these and much more.